A journalist (Rudiger Vogler) with writer’s block tries to help an abandoned girl (Yella Rottlander) find her grandmother’s home in Germany. 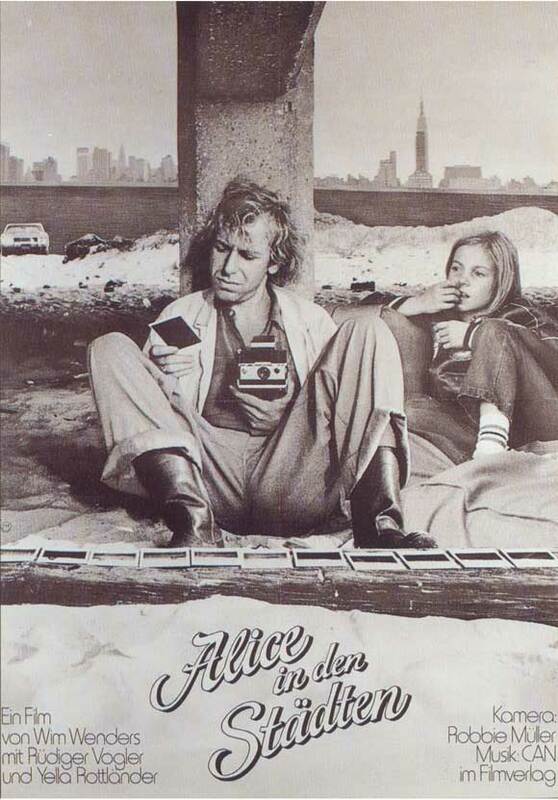 A cross-Atlantic road trip with metaphorical underpinnings, Wim Wenders’ Alice in the Cities is a remarkable gem of a movie. It features excellent performances by both young Yella Rottlander (whose face clearly registers her shifts in emotions) and Vogler; their characters mature and grow throughout the course of the film, but without great fanfare or insistence. This is an independent film of the highest caliber, a story told exactly how it may very well have happened rather than with artificial resolutions. It’s a treat to watch Alice and Phil’s journey — and their unusual friendship, which never smacks of anything unsavory — unfolding. Yes. This early film by Wim Wenders definitely deserves a release on DVD. This could very well be one there’s no in-between on: you may be won over by its simplicity and (for whatever reason) the way the two main characters interact; or you may just find yourself getting swept up in the overall ‘mood piece’ aspect. Or you won’t. I wanted to go with it – and early on, I found myself engaged. Until around the time Alice became purely dependent on the total stranger. From that point – to me – the film just goes nowhere (and there’s still lots of time, at that point, to go nowhere in). There is a great deal of near-silent travelling. The occasional short exchange of no real consequence. No incident causes anything vaguely resembling ‘cement’ between these two. (Well, maybe vaguely.) And, if that’s the case, where’s the movie in all this? It all ‘builds’ to too little, too late – and then it all stops, in a sense like they ran out of film. Personally, I felt cheated by its conclusion (but that feeling had been coming on anyway). This actually seems like sketchwork for what Wenders would accomplish with much more satisfying effect in ‘Paris, Texas’.